Five of the Strangest Existing Locks – Did you know they existed? Given below are some of the weirdest locking systems that still exist in the world. All these devices are real that the people in earlier times have used for the protection of their homes and valuables. A few of these locks are really puzzling and look even weird. These locking systems are terribly strange, and it is really not possible to understand these just by having a look. So, to get a clear idea about the strange locks goes through the explanations given below for each. 1. The puzzle lock with three keys: This is a tricky kind of locking system that still exists. To get this opened, you require using three keys, and this clarifies that this lock style is somewhat irritating for the present generation. The weirdest part is that it does not look like a lock and is similar to a time-honored decorative piece. It looks so because of its structure as there is no point to put the key inside for opening it up. definitely one of the strangest existing locks. 2. The Corkscrew saint fire lock: This is a kind of lock you must have never seen. The keys of this lock are so weird and puzzling. The keys of this locking system are shaped like a screw key. So now, you can imagine how weird this lock looks. These types of keys were used in ancient times for the Slavic locks. On the other hand, the oddness does not end up here with this feature of this locking system, but it lingers as the lock holds dimple cuts with helical grooves. Moreover, to get this lock opened up, the key screws should be placed exactly into the right position or else it will not work. 3. Gear shift lock: This locking system is meant to lock the gear shift of the car. The keys of this weird lock look like the key cards with extra small size. There are a lot of rectangular holes on the keys that make it look very ugly and strange. isn’t that enough to point that this is one of the strangest existing locks? 4. The puzzle lock: To open up this old style lock, the method is a bit tricky. The lock inserting space that shows on the lock will actually not open the lock just by inserting the key inside. No matter how you try to adjust and rotate the key in the correct direction, it will not work like that. Instead, you will require depressing the tine button on the lock through a long and sleek bulge present on the key. 5. 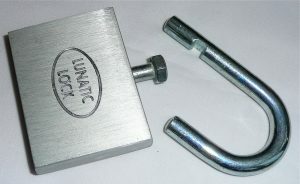 The lunatic lock: Now, this type of lock is extra puzzling for the users. This lock style holds a huge bolt that rests between the shackle arms. And, this lock includes no key-way and opens by inverting the lock as the bolts will come in a position where it can move freely. You can say that in previous times there was a variety of locks available, but not a single locking system was normal for a user. 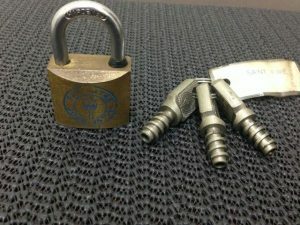 So, if you are still stuck with these types of old locks then quickly switch those with the modern day high-security locks that are easy to use.